The merry-go-round of history continues to spin because the riders forget they are free to get off at any time. But we rarely do it. We keep to our seats and commit the same stupid mistakes over and over again. Take high stakes standardized testing. It was a disaster the very first time it was attempted in America – in Boston, Massachusetts, in 1845. Yet we continue to prescribe the same error to students in schools today. Judging learners, schools and teachers based on standardized assessments has the same problems now as it did 174 years ago. Yet we act as if it’s the only accurate way to assess knowledge, the only fair and equitable way to assign resources and judge the professionalism of our schools and teachers. “Exoneratey” Report. Sort of. Or Not. To those who celebrate Passover. To those who celebrate Easter. You can’t be a public school and still ignore the will of the people. That’s the problem at too many districts across the country where narrow-minded administrators are waging an all out war on parents opting their children out of standardized testing. The federal government still requires all states to give high stakes tests to public school students in grades 3-8 and once in high school. So states require their districts to give the tests – despite increasing criticism over the assessments’ validity, age appropriateness, racial and economic bias and the very manner in which the scores are used to justify narrowing the curriculum, school privatization, funding cuts, teacher firings and closing buildings serving the most underprivileged children. In response, parents from coast to coast continue to fight the havoc being forced upon their communities by refusing the tests for their children. 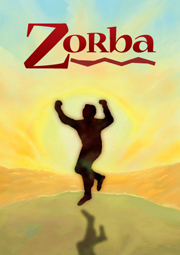 Follow Zorba & the Bear!